Amir Chakhmagh Complex is a prominent structure in Yazd, Iran, noted for its symmetrical sunken alcoves. It is a mosque located on a square of the same name. It also contains a caravanserai, a tekyeh, a bathhouse, a cold water well, and a confectionery. At night, the building is lit up after twilight hours after sun set with orange lighting in the arched alcoves which makes it a spectacle. 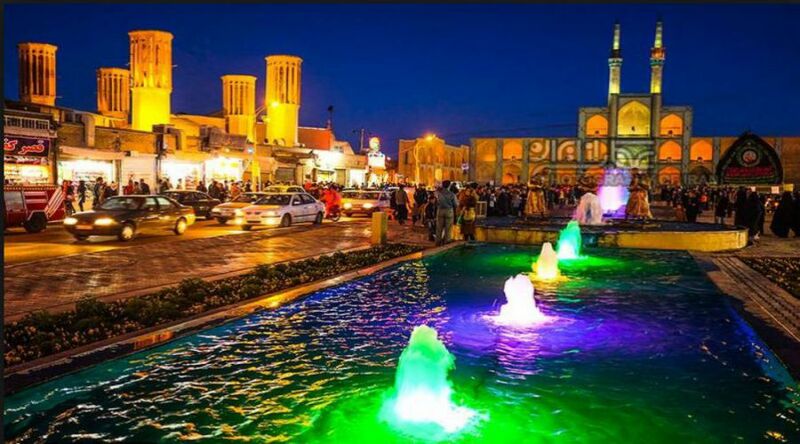 During the Iran–Iraq War and the Iraq wars with the United States and Afghanistan, many Iraqis and Afghanis have come to inhabit the Amir Chakhmagh Square. 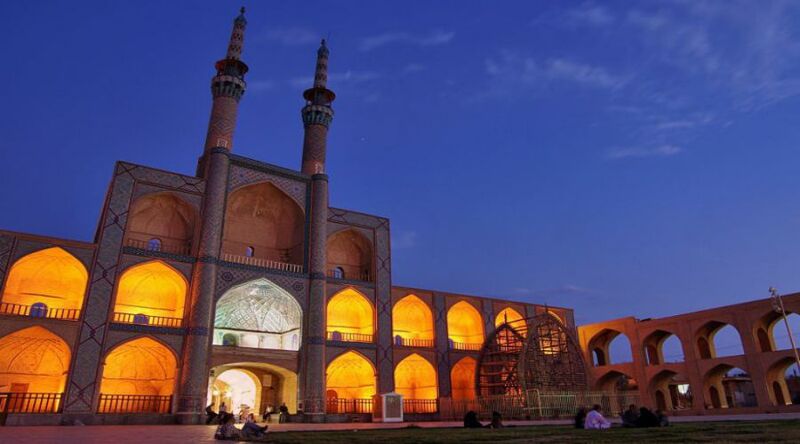 The mosque is located on a square of the same name, named after Amir Jalaleddin Chakhmagh, a governor of Yazd during the Timurid dynasty (15th–16th century CE). Separate living areas for Iraqis and Afghanis are nearby. The complex is situated opposite what was the Yazd Water Museum. 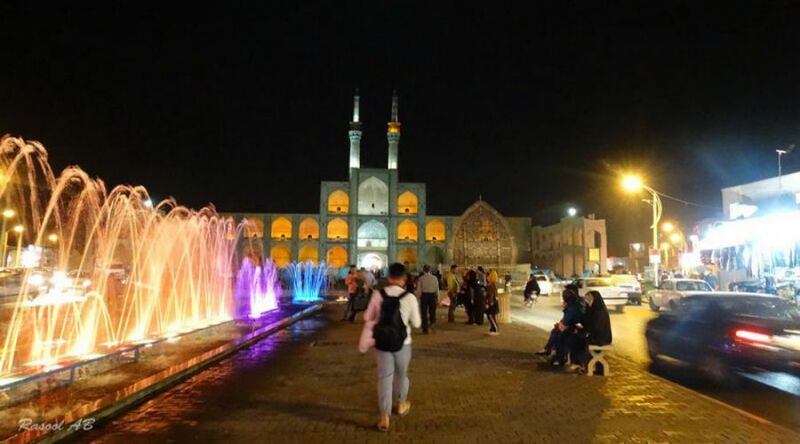 Amir-Chaghmaq Square, according to Dr. Vahdat Zad, an architectural historian who has worked extensively on the spatial aspects of the square, was built in the 15th century by Jalal-al-Din Amir-Chakhmagh, the governor of Yazd in the Timurid era. This square was established on the north side of an important mosque called the Old Mosque, known today as Amir-Chakhmagh Mosque. According to Vahdat Zad, “the mosque was also founded by Amir-Chakhmagh between 1418 and 1438. 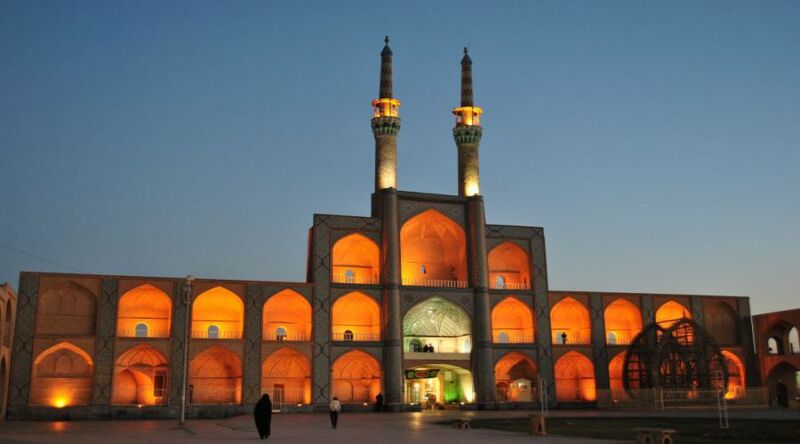 The same year the mosque was inaugurated, Haj Qanbar Jahanshahi, who was the subsequent governor, constructed a bazaar and caravanserai at the sides of the square”. Notably, the demolition of the square, as Vahdat Zaid argues, “had nothing to do with the establishment of Soraya Street in 1943. It more likely occurred when Shah Street and Soraya Street were connected in the late 1950s. Nothing remained of the square then, except the Tekyeh. The municipality even tried to demolish the Tekyeh when one of the offers collapsed, but the archaeology office resisted strongly. Instead, they filled the two arcades on both sides in 1963 to prevent further drag”.